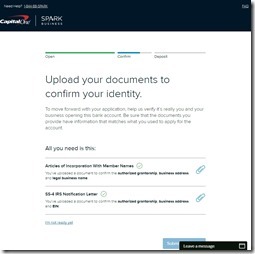 I recently started a small side-business, filed the incorporation paperwork and looked at business banking options. One of the options that came up was Capital One’s Spark Business Banking. I filled out all the questions, uploaded the documents they asked for… and never heard back from them again. No email. No phone call. And when I sign into the website, just a message that they have reviewed the documents and will be in touch. But apparently that does not include calling potential customers, or putting a notice on the website after you sign in. 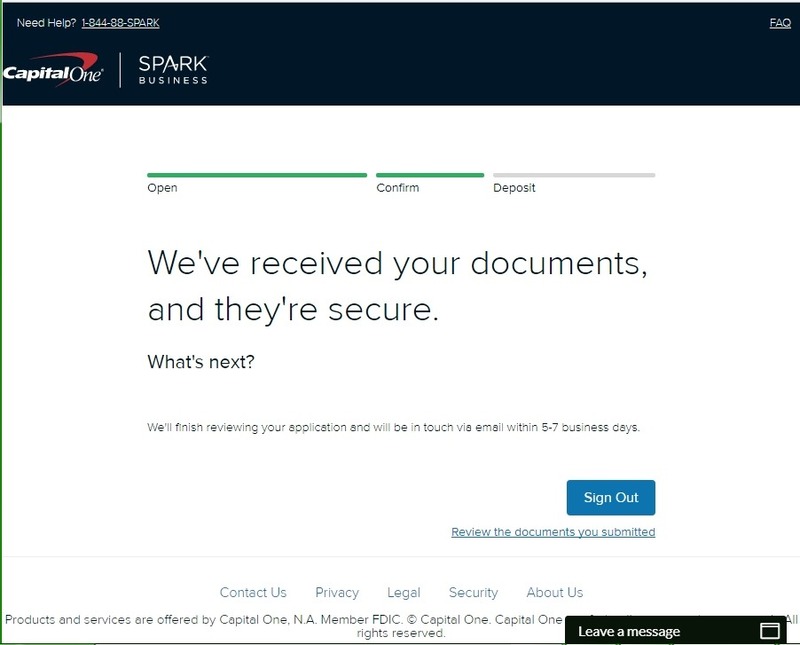 It’s been over a month now, and I need to deposit a check, so I called the number on the website (844-88-SPARK) and talked to someone who was very bubbly, but did not actually listen to what I explained. I told her twice that it had been over a month since I uploaded the required documents, but had not heard from them – to which she responded "How long has it been since you submitted the documents?" Ultimately, she explained that since they had not heard from me in over a month, that they "closed the account" (an account that wasn’t even opened,) and that I would have to re-apply. Bad customer service, as usual. 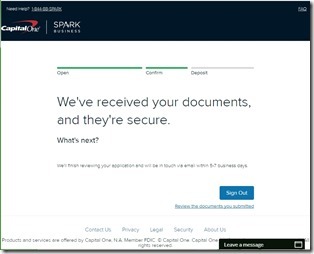 If Capital One’s Spark Business Banking can’t be trusted to call me when there’s an issue OPENING an account, how can they be trusted with my money? Next PostDo NOT buy a Matterport camera!